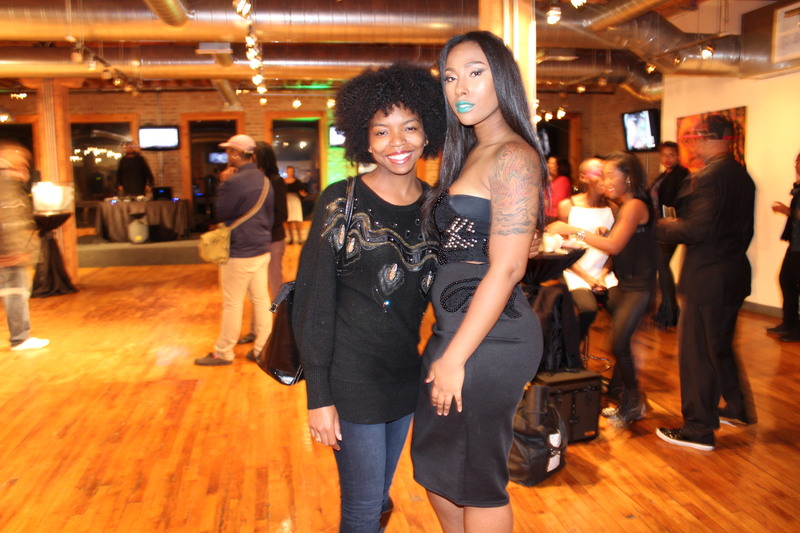 On Friday, October 19, 2013, my friend Briana and I attended the ProFixx Launch Exhibition at the Society Art Gallery in Chicago! Kaori Nik, a multi-faceted visual artist whose specialties include Hair Styling, Make-Up Artistry, Modeling and Art Direction, officially launched her new line of lip pigments for the Profixx Fall/Winter 2013 Collection. The rich, earthy yet vibrant tones are not only show stopping but they are vegan and cruelty free. This event was full of creative, artistic and very stylish people. The music set the tone, the cocktails were served, beautiful art and photography were on display and make-up artist were center stage, just doing their thang! It was exciting, motivational and definitely inspirational as I witnessed an independent artist and business women take on the challenge of doing herself and doing it very well! The ProFixx Launch exhibited plenty of strength, empowerment and class and I am so inspired! Check out the pictures from the event and be true to learn more about Kaori Nik and support her work by following the links below!